Forget whats lurking on the ground in shoes that can handle creeks and trails. Waterproof leather upper. LycraTM neoprene collar for easy on, easy off capabilities. One pull, elastic lacing system. Anti microbial with M SelectTM. UniFlyTM midsole. VibramTM and TC5 outsole. Imported. Your browser isn't supported for displaying eBay items. 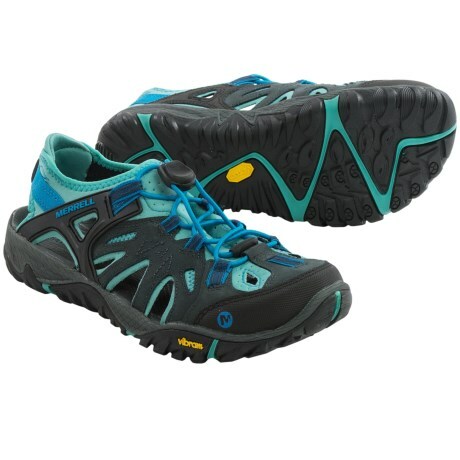 Go to eBay to search for Merrell Mens All Out Blaze Sieve Shoes.